RANDY BRYCE — Randy Bryce, a Democrat, faces Republican Bryan Steil for Wisconsin's District 1 congressional seat, currently held by House Speaker Paul Ryan, who announced his retirement. Half Mexican, half Polish, Bryce, 53, is an ironworker, union activist, Army vet and cancer survivor known as the “Iron Stache” for his pronounced mustache. Bryce, who touts he's lived in southeastern Wisconsin his entire life, gained national attention for his powerful campaign video criticizing Republicans on the issue of health care; the video featured his mother, who has multiple sclerosis. "People see in my story something about them, whether it's having been in the Army and trying to find work coming home, or just struggling to get by and raise a son," Bryce said in a recent interview. AMMAR CAMPA-NAJJAR — Ammar Campa-Najjar, a Democrat, faces five-term incumbent Rep. Duncan Hunter in the usually solid Republican California District 50, where Latinos are almost 25 percent of the eligible voters. Campa-Najjar, who is of Mexican and Palestinian descent, worked in the Obama administration and has been endorsed by President Barack Obama. His opponent Hunter has been indicted on charges related to personal use of campaign funds. The race has been volatile, and Hunter has been strongly criticized for trying to link Campa-Najjar to terrorism because of his late Palestinian grandfather, who died 16 years before Campa-Najjar was born. Campa-Najjar has been working to mobilize new voters, particularly Hispanics in the district. “For a long time people talked about the Latino sleeping giant, but I don't think the voters and people have been asleep. The Latino community has been active for years," he told NBC News. GIL CISNEROS —Gil Cisneros, a Democrat, is in a dead heat against Republican Young Kim for California’s District 39, which takes in part of East Los Angeles and Orange and San Bernardino counties. The district is almost 30 percent Latino. Cisneros is a philanthropist and Navy veteran who won a $266 million lottery prize. He and his wife have focused a large part of their philanthropic efforts on funding educational opportunities for young people; he's said the college degree he obtained through the military changed his life. Along with education, “the No. 1 issue people want to talk about is health care,” Cisneros told NBC News. ANTONIO DELGADO — Anthony Delgado is a Democrat trying to unseat first-term Rep. John Faso in New York’s 19th, where almost 21 percent of eligible voters are Latino. Delgado’s race in the Hudson Valley and Catskills and in the politically moderate district, the race is neck-and-neck. A native of Schenectady, New York, Delgado, is a Rhodes scholar, businessman and attorney in one of the country's top law firms. The race has drawn controversy after Republicans aired ads against Delgado that have been criticized as racist; they excerpted lyrics from rap music Delgado made as a young man with scenes from his campaign ads. Delgado has hammered Faso for voting in favor of the Republican plan to repeal the Affordable Care Act. “I will fight for quality, affordable health care for everyone,” Delgado said in a tweet. SYLVIA GARCIA — Sylvia Garcia, a Democrat, is in line to become the first of two Hispanic women to represent Texas in Congress. 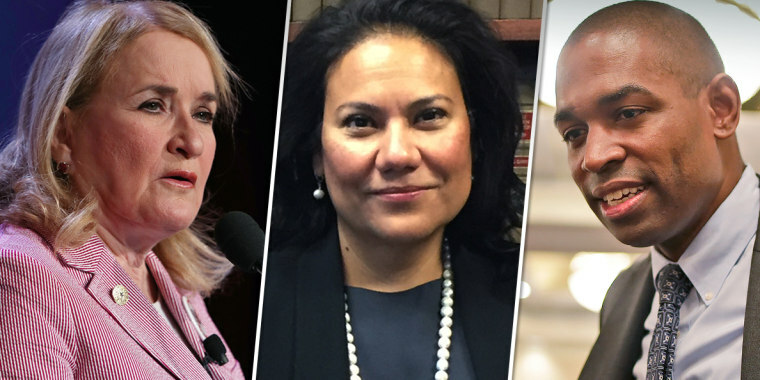 A Texas state senator, Garcia is virtually assured to win the Houston-area District 29 to replace Democrat Rep. Gene Green, who was elected in 1992. The district wraps in a semi-circle around east Houston taking in the Port of Houston and dipping into the city from the north. In the majority Latino district, almost 65 percent of the eligible voters are Latino. Garcia faces Republican Phillip Aronoff. Immigration is a key issue in the district. Speaking about ICE, which she wants to repeal and replace, Garcia said, “It was never meant to be a paramilitary enforcement function, which is what Trump has made it under his administration,” according to the Houston Chronicle. ANTHONY GONZALEZ — Anthony Gonzalez is a Republican running for an open seat in Ohio’s 16th congressional district, which includes Cleveland and Akron; its population is 94 percent white. The seat is expected to remain in Republican hands. Gonzalez, whose family immigrated from Cuba, is a former Ohio State University football star who played for five seasons in the NFL. He received an MBA from Stanford University and then worked as the COO of an educational tech firm in San Francisco. He has campaigned as a practical conservative willing to work across the aisle. He has said he would not have supported the Republican plan to repeal and replace the Affordable Care Act. He has campaigned on jobs and the economy, saying to Cleveland.com in June that "the reality is in our system, capital holders have benefited tremendously over the last however many decades. Really, since the '70s. And workers have seen their wages flatline." DEBBIE MUCARSEL-POWELL — Debbie Mucarsel-Powell is a Democrat trying to unseat Cuban-American Republican incumbent Carlos Curbelo in Florida's 26th district. The candidates are in a dead heat. The district's population is 70 percent Latino and stretches from southwest Miami-Dade all the way down to Key West and includes parts of the Everglades and the Gulf Coast. Hillary Clinton won the district by 16 percentage points in 2016, though the voters re-elected Curbelo. Mucarsel-Powell is an Ecuadorian-born immigrant and a former associate dean at Florida International University’s medical center. She has been campaigning on health care, gun control, and the environment. In the past, she has said it was Curbelo’s vote to repeal the Affordable Care Act that inspired her to run. “I started working at the College of Health and I understood the issues that our community was facing here in South Florida,” she told NBC News in September. ALEXANDRIA OCASIO-CORTEZ – Alexandria Ocasio-Cortez shocked the political world when she defeated incumbent Rep. Joseph Crowley, the House Democratic Caucus chairman, in an upset win in the New York District 14 primary. The Queens and Bronx district’s electorate is 39.2 percent Latino. A political newcomer, Ocasio-Cortez, who is of Puerto Rican heritage, is expected to have little trouble against her Republican competitor Anthony Pappas in the safe Democratic district. Ocasio-Cortez has been seen as part of a generational change helping shake up the Democratic party. She espouses universal healthcare through Medicare for All and the guarantee of higher education or trade school for all. In a recent interview, Ocasio-Cortez said Democratic socialist is part, but not all, of who she is. “The definition of Democratic socialism to me, again, is the fact that in a modern, moral and wealthy society, no American should be too poor to live,” she said in a Meet The Press interview. RICHARD OJEDA — Richard Ojeda, currently a state senator, is the Democratic congressional candidate in West Virginia’s 3rd district, a U-shaped area in the southernmost part of the state. It’s 94 percent white and the poorest part of the state. Trump won the district by 49 percentage points in 2016. Recent polls have shown Ojeda in a single-digit race behind Republican Carol Miller; both are vying for the seat of retiring Republican Rep. Evan Jenkins. Some consider the race an important test for Democrats who have witnessed rural, white areas vote Republican in recent years. Ojeda voted for Trump in 2016 because of his support for the coal industry, but turned against him after he took office. He grew up in Logan County, West Virginia; his paternal grandfather was a Mexican migrant worker. Ojeda served in the Army for 24 years, rising to the rank of majo, and completed two tours in Iraq and one in Afghanistan. Ojeda is considered a populist by some, often dressed in a t-shirt and combat boots. He has 34 tattoos and 13 are the names of fellow service members who did not return home. “They did not die so we could come home and find children struggling, people dying of the opioid crisis and companies and groups greasing people’s pockets,” he told a gathering of teachers and other union members, according to the New York Times. 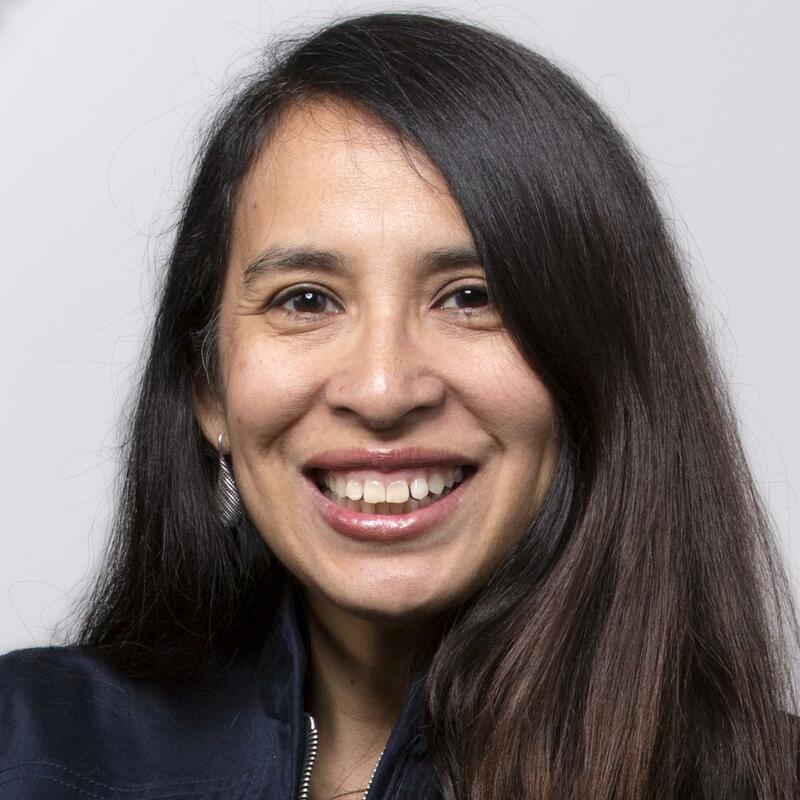 XOCHITL TORRES SMALL — Xochitl Torres Small is the Democrat running in New Mexico's Congressional District 2, which includes her birthplace of Las Cruces and occupies much of the lower half of the state. A water attorney, she has developed connections in the rural communities as she helped design a water plan while working for Democratic U.S. Sen. Tom Udall. The district has been held for years by Republican Steve Pearce, who is now running for governor. But Torres Small is in a competitive race with GOP state Rep. Yvette Herrell that has put the competition in "toss-up" category. Torres Small has tried to hue to the independent streak in the district while still supporting some socially liberal programs such as affordable health care. She told NBC News her skills as a water attorney would help her transcend partisanship in Congress. With water issues, "you have to accept science and look at every situation ... some things you have to take as facts and work with them," she told NBC News. Lea Marquez Peterson, Republican, Arizona CD-2; Benito Benny Bernal, Republican, California CD-29; Christian Leonel Valiente, Republican, California CD-35; Omar Navarro, Republican, California CD-43; Juan M. Hidalgo Jr., Republican, Mark Levya, Republican, Indiana 1; Steve Negron, Republican, New Hampshire CD-2; John R. Muniz, Republican, New Jersey CD-8; Jason Gonzalez, Republican, New York CD-15; David Torres, Republican, Pennsylvania CD-2; Renee Hoyos, Tennessee CD-2; Jana Lynn Sanchez - Texas CD-6; Eric Holguin, Democrat, Texas CD-27; Rey Gonalez, Republican, Texas CD-34 and Lee Castillo, Democrat, Utah CD-1. In California, Kevin DeLeón is running for Senate.